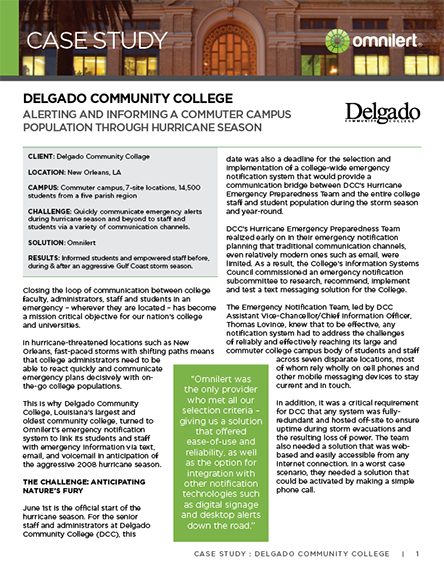 Delg ado Community College alerts and informs a commuter campus population throughout hurricane season. CHALLENGE: Quickly communicate emergency alerts during hurricane season and beyond to staff and students via a variety of different communication channels. RESULTS: Informed students and empowered staff before, during, & after an aggressive Gulf Coast storm season.